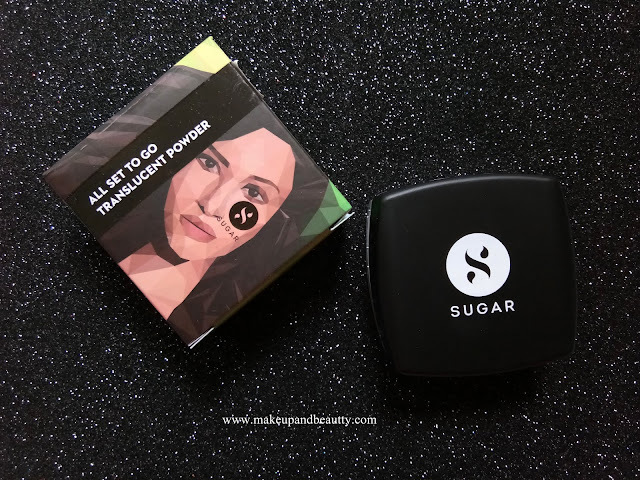 "A NEW LAUNCH FROM SUGAR COSMETICS WHICH CAN BE USED ON ANY TYPE OF MAKEUP AND ON ANY TYPE OF SKIN." 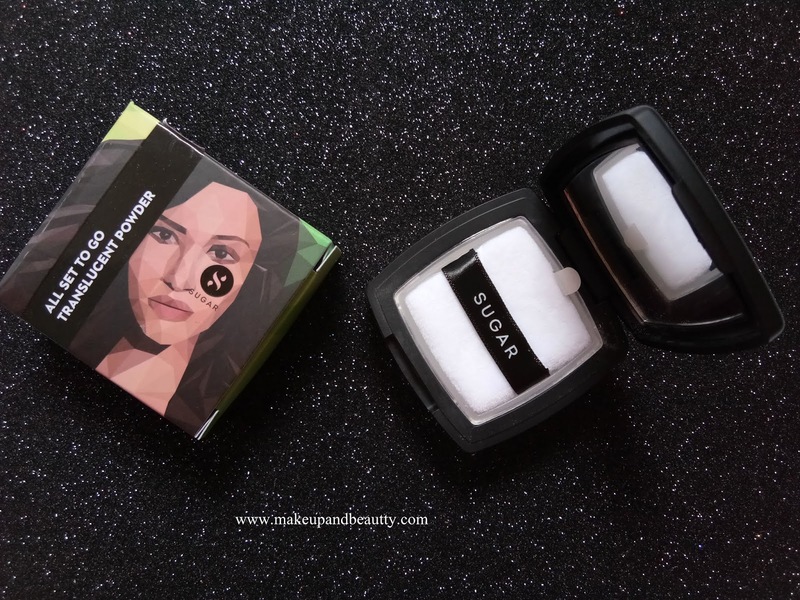 Sugar cosmetics has geared up with another new launch product. The product is a much-needed one in a drugstore brand. 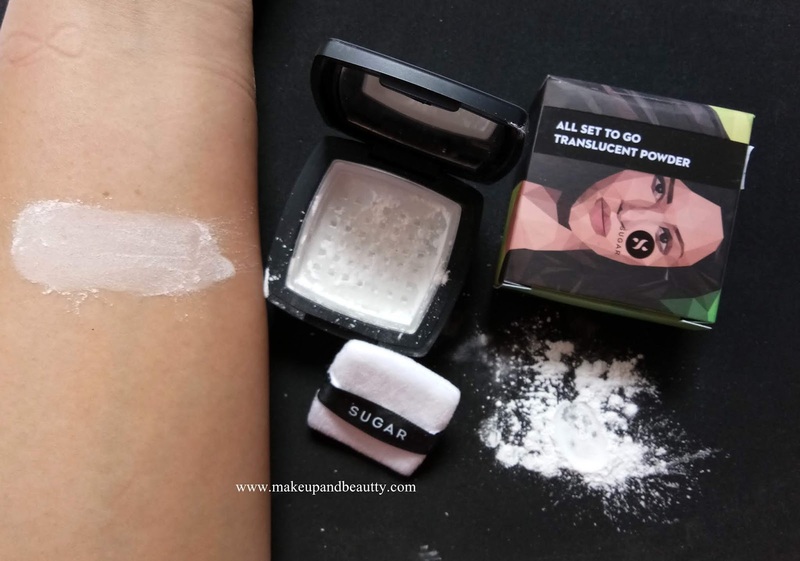 They launch a "setting powder" named as "ALL SET TO GO TRANSLUCENT POWDER". Price:- RS.599/- for 7gm of product. 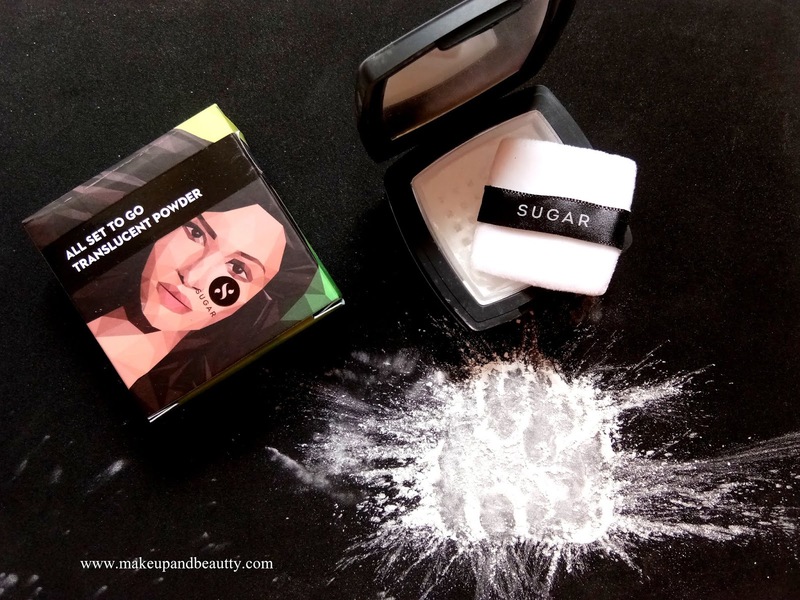 The powder will be available on sugar cosmetics website from today. 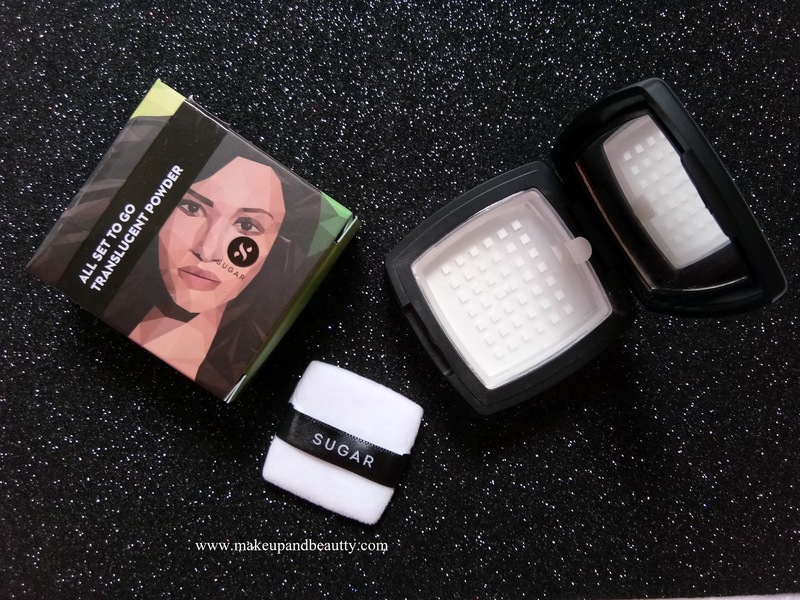 The powder comes in a cute square kind of container. The upper lid is black in color while the container is a transparent one. 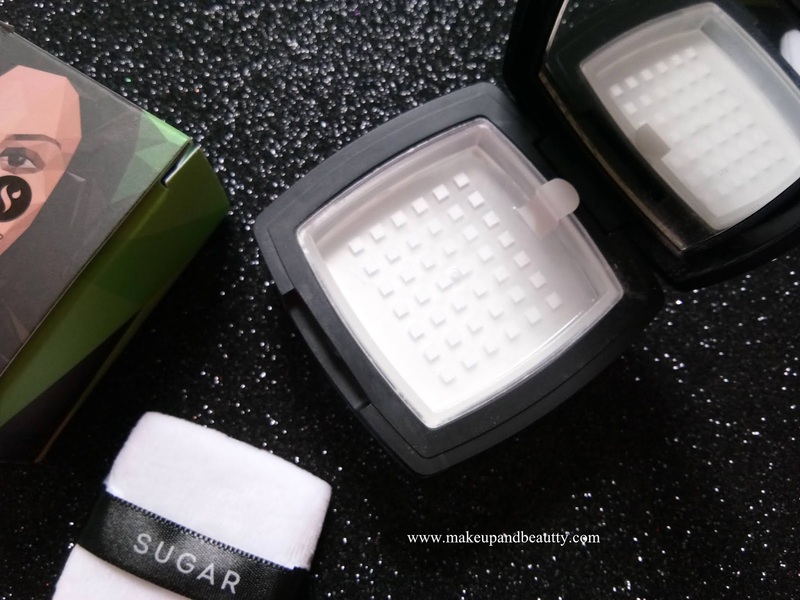 The name sugar embossed on top of the black lid of the powder case. The case open and close with a click sound. Inside the case, there is a small square shaped mirror and a square-shaped sponge which is soft but as it is too small it is only good for touch up. The tiny holes in the case actually regulate the amount of powder. The powder is white in color. If touched with fingers one can feel there are finely milled one. The powder is lightweight. 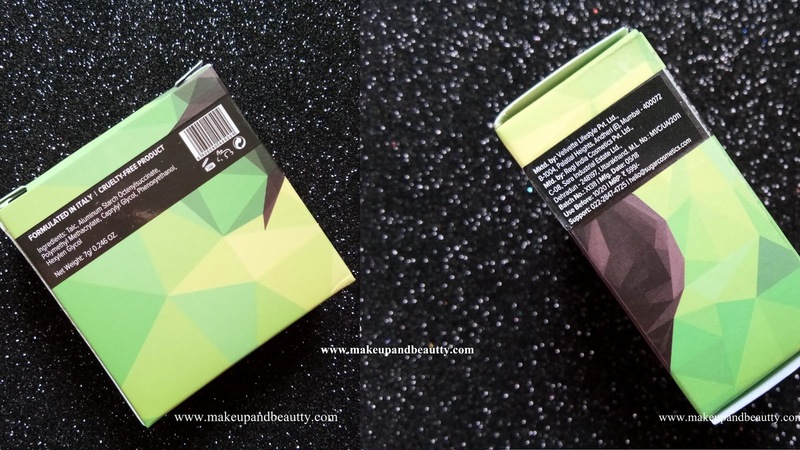 It magically blends into the skin giving a fresh and matte look without creating any white cast. 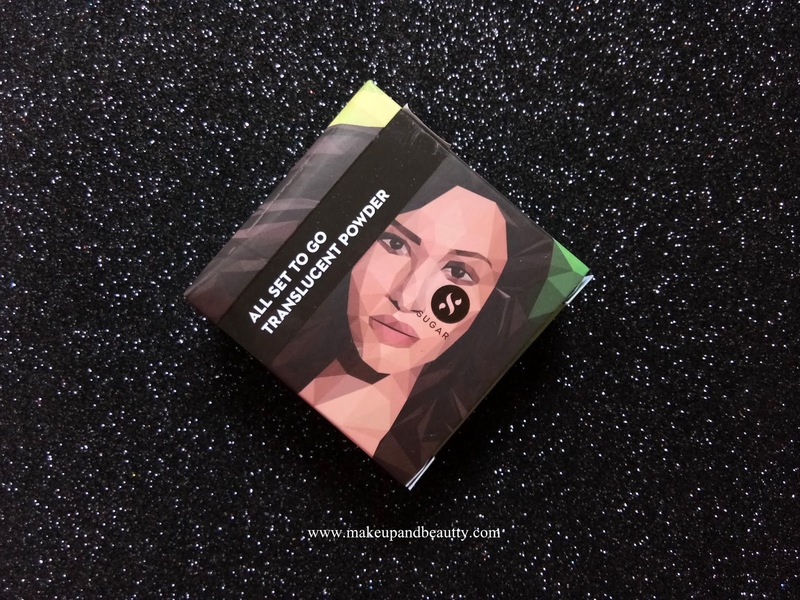 The power can be used all over the face to set the makeup. It keeps my makeup intact for hours in this sweaty summers for approx 5 hours. Need to set your concealer? no worries, take out a little amount of this powder and dab on your concealing area and then blend. Need to set your high coverage foundation but don't want to look cakey? grab a flat top brush and apply this powder all over your face and neck to get that flawless look. Now you can now bake your face easily with this affordable powder as it requires a very little amount. Leave it for few minutes and then just dust it off. 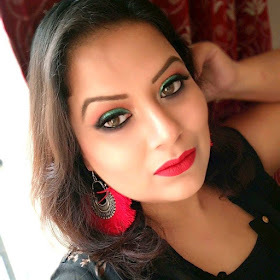 Want to turn your creamy lipsticks into matte one? 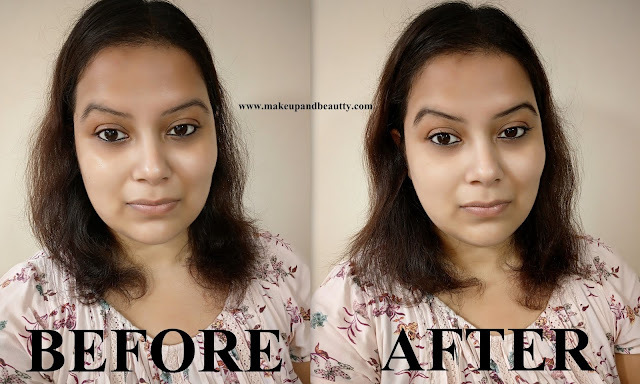 take a little amount of this powder on beauty blender dab on top of lipstick, let it be there for few minutes and then just dust it off with a big flat brush. And see your regular creamy lipstick turned now into true matte one. So these are all the tips and tricks that you can try out with this powder. Now no more looking for high end setting powder when you have your own Sugar setting powder. That's all for today. See you in my next post.